Cyclone Pam swept through the Vanuatu Island chain on March 13 causing extensive damage. Warren Burgess, a New Zealander with a holiday home on the south-east coast of the main island of Efate, was on the first civilian flight to arrive in Port Villa. Upon seeing the nearby village of Eton with over 30 per cent of the homes totally destroyed and extensive damage to the rest, he met with the Village Council and proposed a plan to rebuild the village, if the money for the materials required could be raised. Warren contacted his friend, Grant Faber, who is a member of the Rotary Club of Downtown Auckland, NZ and a proposal was drafted to build 30 homes for the village. With the club’s keen support, the project swung in to action, driven by the humanitarian need of many families with no permanent shelter. A “Give a Little” page was launched and club members commenced fundraising while the design of a cyclone proof 5m x7m home was finalised. Building material suppliers were approached to assist because materials were not available in Vanuatu, so had to be shipped from NZ. 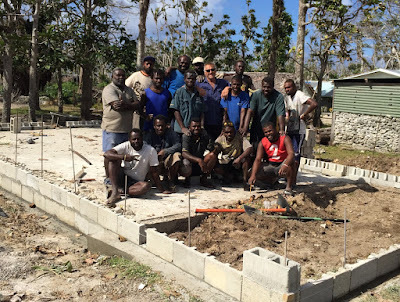 On the ground in Vanuatu, Warren ensured site clearance and salvaging of material was under way and repairs to partly damaged buildings started. Fundraising continued by Downtown Auckland Rotary, including an evening dining event, at which the entertainment was donated. Meanwhile materials were stockpiled. With critical shipping dates looming, the funds were short to cover the significant shipping costs. 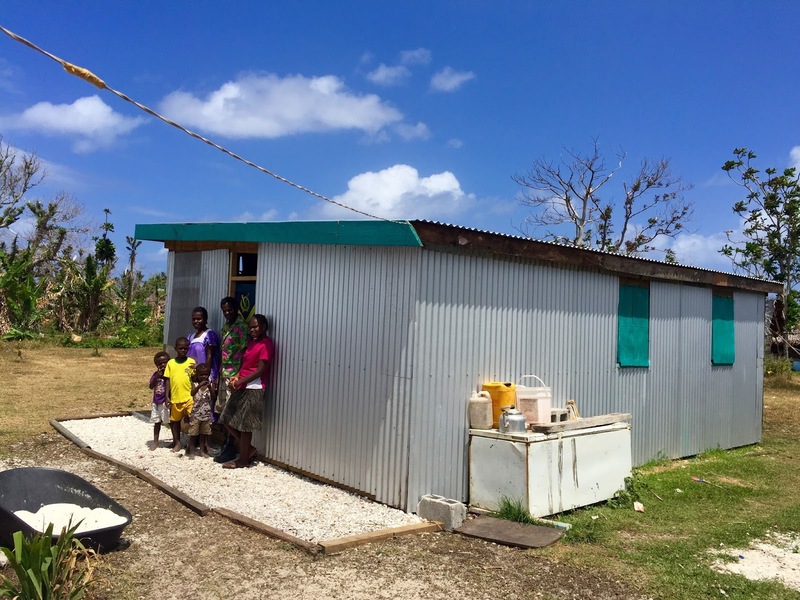 With last minute support from the NZ Government via the Ministry of Foreign Affairs and Trade (MFAT), five containers of building materials were on their way. While on the ground in Eton, Warren was training the local village build teams to ensure construction was to standard. More than NZ$130,000 was raised for the project in only three months. With the arrival of the materials in Eton, several volunteer builders arrived from NZ to join Warren and the village work teams, so the 30 homes were built in record time with construction complete by August. With fundraising continuing, the badly damaged village kindergarten was also rebuilt from the ground up. The whole project was a great example of Rotary in action. Linking with key people on the ground and the local villagers to achieve a hugely successful outcome in record time.